Over 200,000 people have been killed during an ongoing conflict in Colombia that pits the government, paramilitary groups and crime organizations against left-wing groups as FARC (Revolutionary Armed Forces of Columbia) and ELN (The National Liberation Army). For over fifty years, guerillas hiding deep in the jungle have been playing a deadly cat-and-mouse game, and the government has tried everything to bring them out of the jungles and send them home to their families. They have even tried an advertising campaign, the likes of which you might see in a mall or on YouTube, to market a company or its products. In this case, the campaign has been powerfully effective. The goal has been to get FARC and ELN guerrillas to demobilize, and thus weaken the guerrilla bands. The appeal has been to their hearts. And what better way to appeal to the hearts of Colombians is through Christmas and soccer. As explained in this December 11, 2016 60 Minutes report, the Colombian military hired a creative ad executive named Jose Miguel Sokoloff in 2006 to create a campaign that would convince members of FARC to go home. If Christmas can come to the jungle, you can come home. Demobilize. At Christmas, everything is possible. The result of that campaign was that over 300 guerillas, about 5% of the total, left the jungle and surrendered. The following year, the Colombian military staged “Operation Rivers of Light,” another campaign to reach further into the jungle by floating plastic balls that contained messages and gifts to the guerillas. They also lit up with soft purple light, to send another powerful message of peace and beauty into the heart of the jungle. Some 7,000 of those balls resulted in the demobilization of another 180 guerillas. Another campaign was also launched in 2011, in conjunction with the 2011 FIFA U-20 World Cup, which happened to be hosted by Colombia from July 29 to August 20. As Sokoloff said, football moves this country. Football is our passion.” So during this campaign, soldiers had thousands of soccer balls signed by players and celebrities and fans. Theses balls – all with a sticker saying “Demobilize. Let’s play again” – were thrown from helicopters into the jungle, resulting in another wave of guerillas leaving the jungle. Sokoloff claims that over eight years of this campaign, 18,000 guerillas have come home, and got FARC to the bargaining table. Still FARC and ELN fight for survival in the jungles, soldiers and guerillas die. But still negotiations continue as the government and FARC look to find peace. Perhaps it will be quiet today in Colombia, for it is Christmas, and family calls. If you’re flying in and out of Haneda Airport from January 9, 2018, you may be surprised to see a new team on hand to assist you. 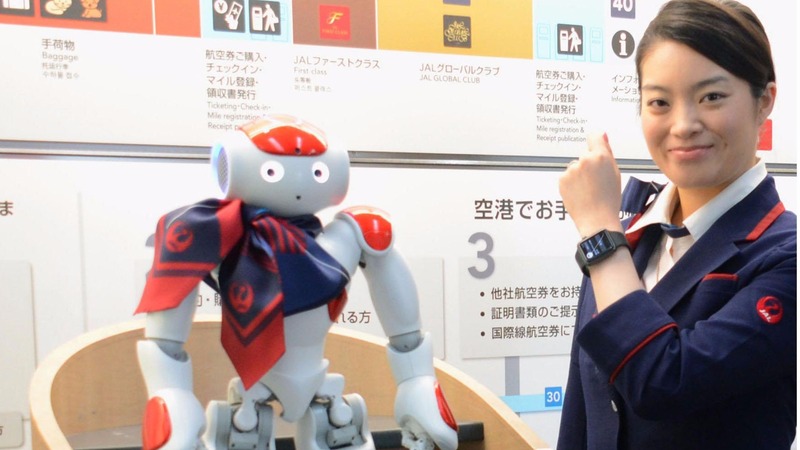 The team will be made up of seven robots designed to assist staff and visitors at the busy domestic and international airport, located very near the central part of Tokyo. Robots will be there to provide information, offer interpretation into four different languages or carry your bags, for example. When you’re at Haneda in January, you’ll see a C-3PO ancestor, the”EMIEW3″ robot, which is less than a meter tall and can provide you with information in English and Japanese. With the number of foreign visitors to Japan climbing rapidly – the total number of visitors to Japan exceeding 24 million this year – combined with a tight labor market, Haneda officials realize that they will need robots to increase productivity and meet the needs of travelers. 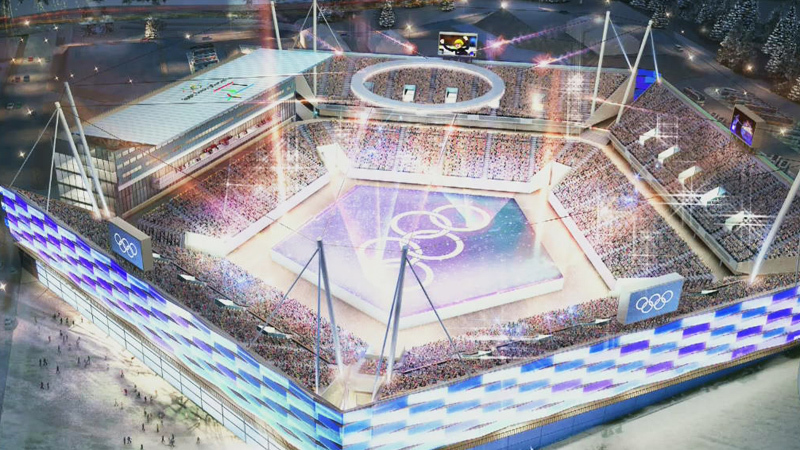 Additionally, there is a pride associated with showing the world during the Tokyo2020 Olympics that Japan is cutting edge. He slept on the ground of his crowded home as a child, his grandmother working hard to get food on the table for nine grandchildren. Akwasi Frimpong grew up in a village called Kumasi in the Republic of Ghana, and while he aspired to a better life, he probably had no thought of becoming an Olympian in the speed sliding sport of skeleton. Skeleton Olympic champions have emerged from only 8 countries in the world, including the US, Great Britain, Canada, Russia and Switzerland. 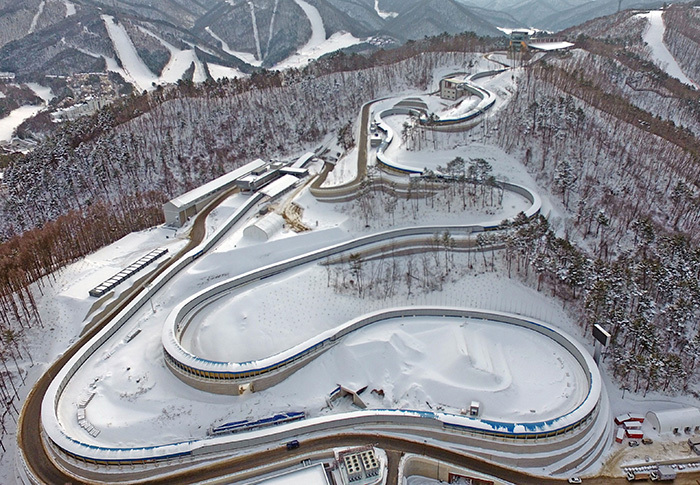 Certainly, running full speed into an icy track of twists and turns, head first on a tiny sled, is not the first thing 99.99999% of the world’s population would try to do, let alone think, particularly in a country where the coldest it gets is about19 degrees Celsius. And yet Frimpong defied the considerable odds, and has put himself in a position to become Ghana’s first ever Winter Olympian representing his country at the 2018 PyeongChang Olympics in the skeleton competition. To become an Olympian, he has to qualify at the skeleton world cup in mid-January of 2018 by getting into the Top 60 in the world. If he does, he’s going to South Korea. Perhaps Frimpong’s first big break was leaving Ghana at the age of 8, and move to the Netherlands where his mother had emigrated to. In a more developed economy with more opportunities, Frimpong was shaped by his coach at his junior high school into a track star. His second big break was having Sammy Monsels as his junior high school coach, a man who competed as a sprinter at the 1972 and 1976 Summer Olympics. According to this article on Olympic.org, Monsels created a vision for Frimpong. “It was Sammy who really instilled the dream of the Olympics in me. Within two months, I went to the Dutch Junior Indoor Championships and missed out on the 60m final by 0.01 seconds. That summer, I missed out on the 100m final, again by 0.01 seconds… I asked my coach what I needed to do to become a gold medalist. He spoke to me about self-discipline and it all started from there. Frimpong went on to become the 200 meter Dutch junior champion. But because he was still an illegal alien, he could not benefit from any international competition. What if immigration would not let him back into the country? Competing overseas was too big a risk. And his illegal status stopped him from asking to enter any high school. Fortunately, there existed an institution that looked beyond Frimpong’s legal status – the Johan Cruyff Institute. Named after Holland’s (and the world’s) most famous soccer player, Johan Cruyff, this school is designed to develop the abilities of students, athletes as well as business professionals. Frimpong’s third break was to have a neighbor who cared. The neighbor was a writer, and she wrote so persuasively, even explaining Frimpong’s illegal status, that the Johan Cruyff College took a chance on the Ghanaian. Frimpong enter the school and earned his school’s international student of the year award. The award was to be presented in Barcelona, Spain, but because Frimpong was too scared to leave the country, Johan Cruyff himself flew to Holland just to present the award to Frimpong. Eventually, in 2008, at the age of 22, Frimpong became a Dutch citizen. He got an athletic scholarship to study in America at Utah Valley University, and dreamed of making the Netherlands track team for the 2012 London Games. But he was not able to qualify, hampered by an injury. Entering the second half of his 20s, his dreams of running track in the Olympics was fading. But he got a visit from the Dutch bobsleigh team, and was asked to try out as their brakeman for a World Cup race in Utah. Frimpong showed enough promise that he progressed to make the Netherlands national bobsleigh team. Unfortunately, his results were just under the cut, and Frimpong missed out on the 2014 Sochi Winter Olympics. At the age of 28, failing to make both a Summer Olympics and a Winter Olympics, Frimpong could have ended his pursuit of an Olympic Games. And that’s when he discovered skeleton. And for some reason, this sport clicked. I set myself the goal of becoming the first African to win a medal in Winter Olympic history. I knew it would take me four to six years to become really good, so initially my target was the 2022 Games. But when I started racing in 2016, I surprised myself. A lot of coaches said that I was sliding like someone who had been doing the sport for several years. And so Frimpong is at the door of his long journey to make the Olympics. If he does qualify for the 2018 PyeongChang Olympics, he will be first black skeleton athlete in Olympic history. Note on February 2, 2018: On January 15, 2018, he got his wish and is headed for the Olympics. 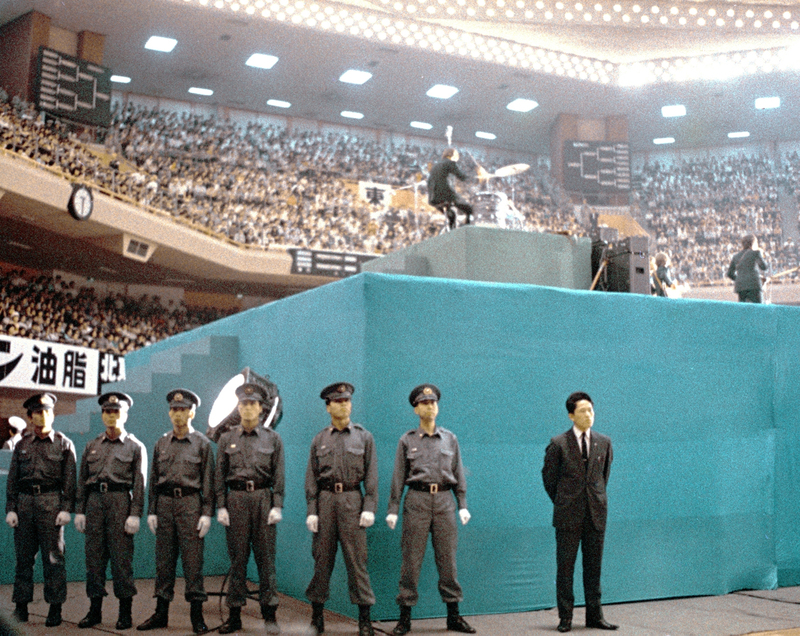 For English version of October 23, 1964: How Judo and Volleyball Transfixed and Transformed Japan within the Span of a Few Hours. １９６４年、ブルガリアの走り幅跳び選手として東京オリンピックに参加していたダイアナ・ヨーゴバは、私に宛てた手紙の中でこう話している。きつい練習の合間に取る休憩時、彼女は女子寮の中にあったミュージックホールへ行き、好きな音楽を聴いた。彼女のお気に入りの一つが「With the Beatles」というアルバムで、これは１９６３年１１月に発売されたものであった。傍らで行われている生け花レッスンを横目で見ながら、そこから漂う花の香りを楽しみつつ、彼女はお気に入りの曲を聴いた。All My Loving, Please Mister Postman, Hold me Tight, I Wanna Be Your Man.